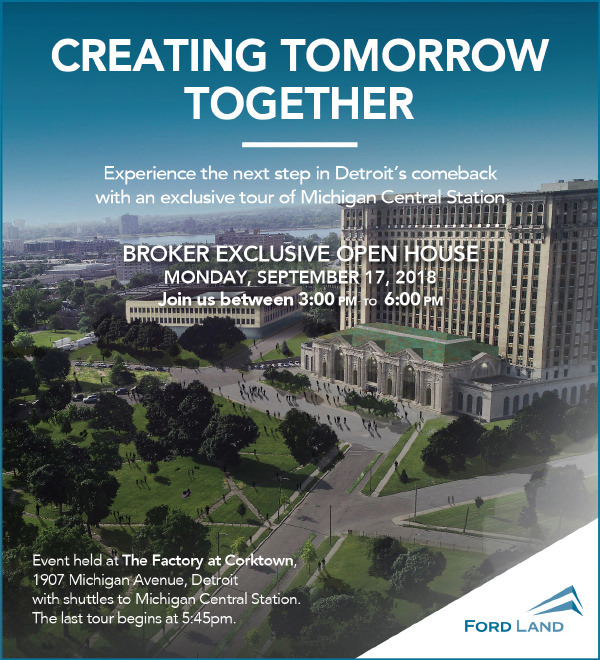 September 17, 2018 – Ford Land recently hosted an event for brokers to tour Michigan Central Station. 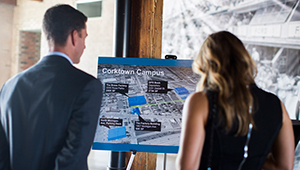 The event shared Ford’s vision of a new 1.2 million SF campus in Detroit’s Corktown neighborhood that will serve as an innovation hub for Ford’s vision for the future of transportation. 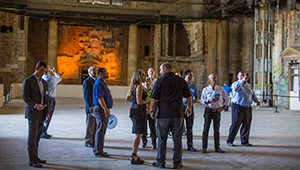 Michigan Central Station is the centerpiece of this new campus featuring office, commercial, residential and event space. 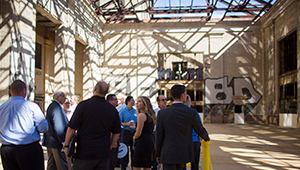 The attending brokers toured the train station and were shuttled to the Factory building for a reception that included local Corktown food and beverages.